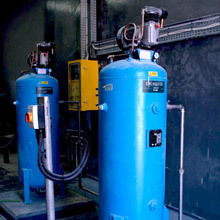 Thankfully emissions of chlorine and other toxic gases to the environment are not common occurrences and in part this can be attributed to the high engineering standards within the industry. 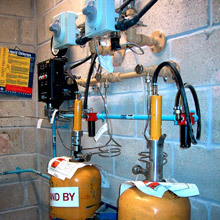 However should a leak occur the consequences, both on personnel and equipment, can be extremely serious, for example: unprotected exposure to as little as 100-150 ppm of chlorine for 5/10 minutes can prove fatal. 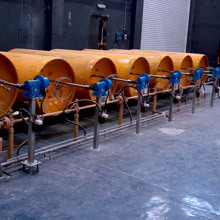 The storage and use of chlorine requires safe, effective measures to prevent leaks to the atmosphere which may cause injury or corrosion from such an emission. 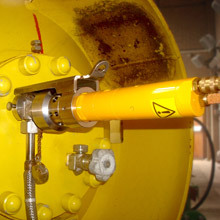 Data from the chlorine emergency responses at customers' installations indicate that the greatest number of incidents, with the greatest potential for leakage, originate from the connection between the container valve and union connection. 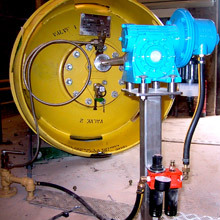 PSI Global Limited’s Water Care Division and ICI have developed a patented, remote shut down system for effective closure of the chlorine container, or drum valve, in the event of a downstream leakage. 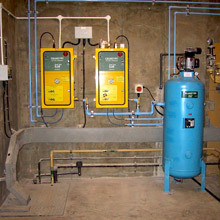 It can be easily installed at existing storage sites. This system closes valves within 15 seconds from the time it is triggered, a fraction of the time to 'suit-up' and close the valves manually.